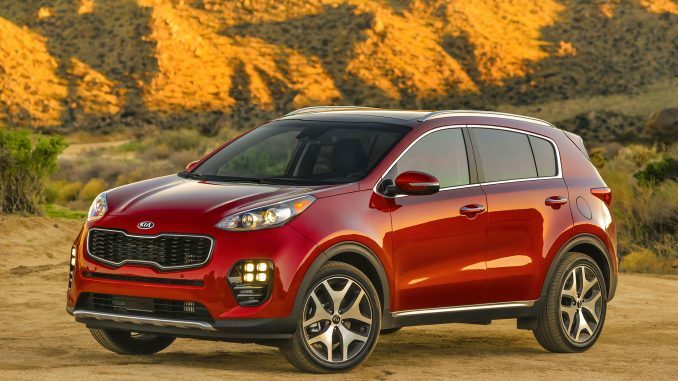 The exterior design is arguably one of the Sportage’s stronger selling points. 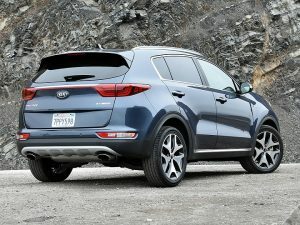 Though some angles are a tad polarizing, the overall look is far sleeker than many of its competitors, some of which couldn’t be bothered with any attempt at styling. The interior too is well-designed with logically arranged controls and a user-friendly infotainment system. 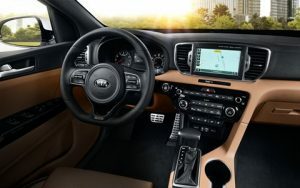 Kia’s touchscreen interface is one of the best in the business. The front and rear seats are pretty spacious, but the cargo area does seem a bit smaller than the norm. It also lacks handy release handles to collapse the back seats found on some competitors.